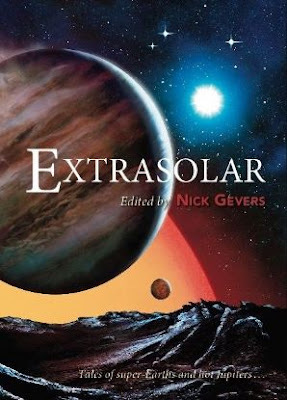 Imminently due from PS Publishing, Extrasolar, edited by Nick Gevers: an anthology of original stories inspired by the discovery, over the past twenty-five years, of the rich and populous zoo of exoplanets orbiting other stars. Terrific line-up of authors and stories. Also one by me, inspired by the difficulties and craziness of field research, and a James Bond film. More details over at the PS Publishing web site, where you can pre-order or even buy the book. The book looks very interesting but at £30, no.